O'Briens is apopulare destination in Chicago and features an atmosphere of casual dining with a Continental cuisine specializing in prime steak & fresh seafood. 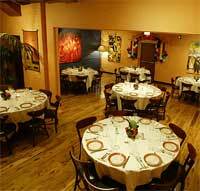 "Considered one of the top Chicago restaurants, this spot is a favorite among locals, out-of-towners, and celebrities. Outdoor seating available in warmer months. Specialities include rigatoni in spicy tomato sauce, spaghetti with calamari/mussels/clams, bow tie pasta with salmon, shell pasta with sausage, eggplant parmigian, veal saltimbocca, filet mignon, chicken breast stuffed with spinach and mushrooms, and Lake Superior whitefish." Since opening in millennium year 2000, Adobo Grill has created mucho buzz and a muy loyal following. From tableside guacamole to unique margaritas, traditional en Adobo entrees to delicioso desserts, this festive, authentic Mexican experience is unmatched. 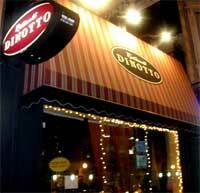 Dinotto is one of Chicago's most popular Italian restaurants. 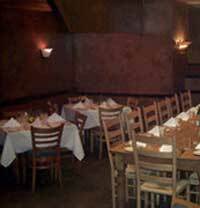 Located in the heart of the city's Old Town neighborhood it is a true Italian treasure, the Ristorante has cozy, intimate ambiance that combines European warmth with New World feel. 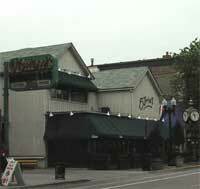 Carmine's opened in 1995 in the heart of the Gold Coast area. 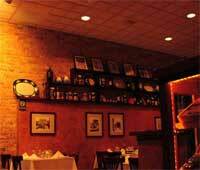 Hailed as "the best new restaurant in Chicago for 1995" by ABC television, Carmine's continually attracts celebrities, sports personalities and politicians alike who hunger for the tremendous portions of the freshest seafood,chops and pasta in town. 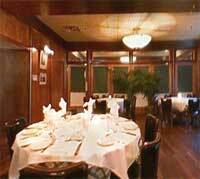 Gibsons Steakhouse has been the pinnacle of Gold Coast dining for nearly 2 decades. Housed in the space made famous by Mr. Kelley's, where Streisand and Sinatra performed, and later occupied by 70's and 80's hot spot Sweetwater, Gibsons continues the star studded tradition with a nightly procession of the famous and powerful.